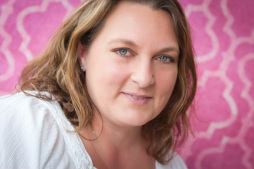 LeeAnne is a mother of three, teacher, doula, childbirth educator, breastfeeding counsellor-in-training, birth photographer, sleep consultant and the founder of Goodnight SleepyHead. Passionate in the field of childbirth and baby care, LeeAnne is also the owner of Mia Bella Mamma Birth Services and Nature's Way Placenta Services. Always on a quest to provide quality support to new families, LeeAnne is currently working towards certification as a Sleep Consultant through International Maternity Institute. The training perfectly complements LeeAnne's 18 years experience with children's sleep and sleep challenges, and she is now thrilled to be able to take it one step further and offer Gentle Sleep Solutions to other tired families. Healthy sleep is important for growth, emotional stability, a healthy immune system, and cognitive function. LeeAnne strives to help families achieve a healthy balance in all of these areas by guiding them to reclaim their sleep. Because Healthy Sleep makes Happy Families! At Goodnight SleepyHead you will not only receive a customized Sleep Plan for your child, you will benefit for LeeAnne's expertise as a postpartum doula, childbirth educator and breastfeeding counsellor. We feel strongly that sleep issues do not stand on their own. When looking for a solution we must consider many other factors as well. A child's health, stage of development, sleep environment, and feeding and activity habits all play an important part in a good night's sleep. At Goodnight SleepyHead we have the experience and resources to give consideration to all of these factors before considering a sleep solution. You will not receive just a "quick fix", but a lifelong plan to build a foundation for good sleep health and happiness! Thank you so much LeeAnne!! My son has been doing well so far on our sleep training. Maximum cry the past 2 nights has been 10 mins. :) You are amazing and I am so blessed to have met you. I appreciate all you have done for my family and I'm hoping it will only get easier from here. I'll send off an email on the weekend to check in and tweak any issues. What you do for families is priceless. LeeAnne was an amazing support for our family soon after our twins arrived home. As our postpartum Doula, she went above and beyond to anticipate our needs as we adjusted to life as a family of 5. She was very willing to impart her knowledge of infant phases and stages and help us establish good feeding and sleeping routines. Her night time relief package is great value! Thank you LeeAnne for helping us through the first 6 weeks with our twins. You have a been an invaluable extension of our family. Just over a month ago my 6 month old daughter was cosleeping with us for most of the night, waking 5 times, and only napping for 20 minute stretches. Two nights ago she slept through the night in her own crib and now takes two naps a day of 60-120 minutes each. It was tons of hard work for our family but we would like to thank LeeAnne for making our sleep plan and being at our beacon call at all hours (...and we beaconed!). With three science degrees between us and a stack of sleep books with dog eared pages, we tried forever to make this happen and we were unsuccessful. We just lacked the direction, structure and emotional support LeeAnne gave us. Thanks LeeAnne for being so great! I first came to LeeAnne in desperation, when my 10 week old twin boys were tag-teaming me all night, every night. I had been up for days on end, taking care of the boys all night - and then all day, along with my toddler. The complete sleep deprivation was unlike anything I had ever experienced before. LeeAnne provided night relief and it was heavenly. She then began implementing a plan for our entire family to get more sleep. Our plan was customized to our family's needs and beliefs about sleep. She tailor-made our plan to include feeding schedules and one-on-one time with our daughter. Soon the boys were sleeping for longer periods of time in their cribs, in their room, at the same time! Now they are 10 months old, and they sleep all night uninterrupted along with two great naps every day. Her continued support has been a life-line. I have my life back, and it includes wonderful, rested children. Thank you, LeeAnne! Does your family need some guidance to consolidate sleep? Email or call LeeAnne @ 780-691-5063 for your no-obligation Free 15 minute consultation to learn more about how Goodnight SleepyHead can help.